How a day of fun could have turned into a funeral. Drowning is a scary business, but very realistic when jumping into a kayak without any experience and capsizing. 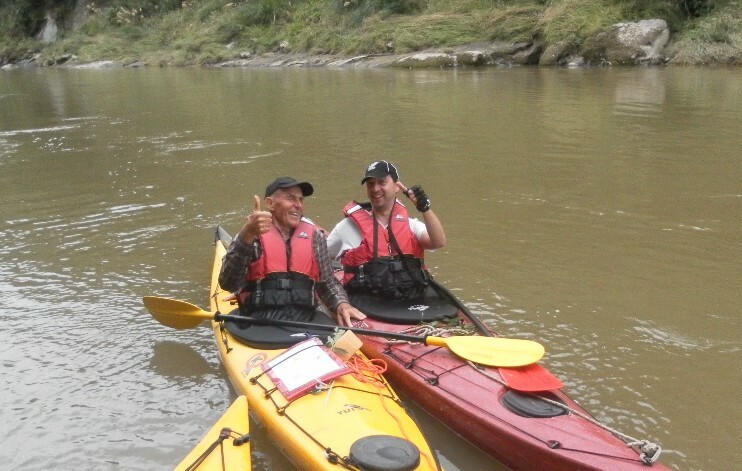 Last Wednesday (04-01-2012) Wilfried (see in the picture), Iwona (taking the picture hence not in it) and myself went kayaking on the Whanganui river. I quickly discovered that these vessels are not made for tall people. I had trouble getting in, but that would be nothing compared to getting out. All geared up, including a spray skirt (the rubber thing covering the canopy as seen in the picture) I felt ready to go. In super high spirits and without fear (this is a total lie) I went down the river. The first rapid was scary, but I stayed inside the kayak. The next rapid, the most violent I’d encounter, made me capsize. The waves banging into the kayak from the side kept on pushing me under water. Having had trouble getting into the kayak getting out proved extremely difficult. 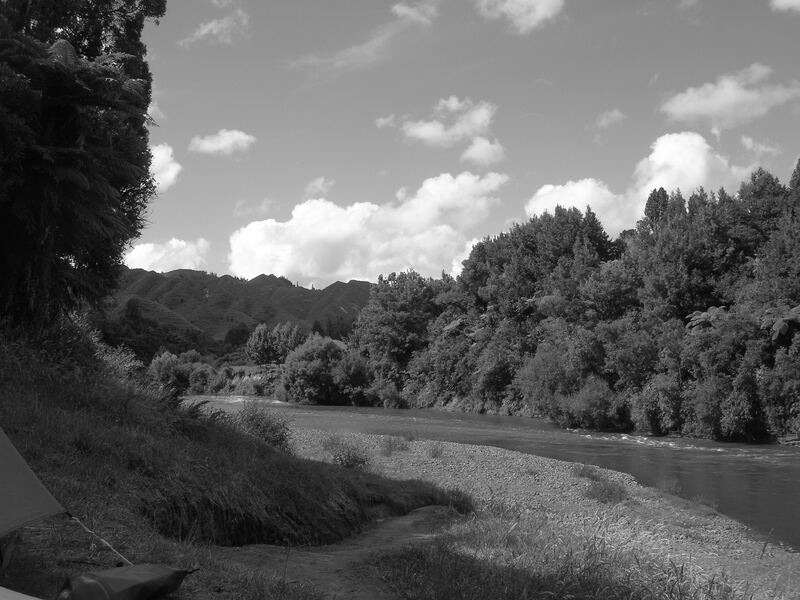 In a wild panic, after having tried if the river water was indeed drinkable, I managed to push myself out of the kayak. With great sadness I noticed that I lost my glasses which are never to be found again, but on the positive side I was still alive. What I learned from this? Get into a boat you can actually get out off when it flips over! Doe je voorzichtig! Ik heb ook eens ondersteboven gehangen in zo’n kayak. Kan me enigzins inbeelden hoe je je voelde! Well it’s not ideal certainly! !